Smart Book Lovers, non-profit organization for people with high intellect and a passion for books, is now accepting nominations for the 2012 Sharp Writ Book Awards. The Sharp Writ Book Awards are presented annually by Smart Book lovers to recognize excellence in writing. I'm honored to receive this prestigious award, and I've been very happy that so many readers have discovered my books when they were featured in sharp writ Book Award's / Smart Book Lovers’ blog and Facebook pages. 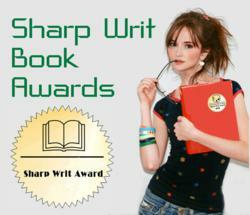 Smart Book Lovers is now accepting nominations for the 2012 Sharp Writ Book Awards. The Sharp Writ Book Awards are presented annually to recognize excellence in writing. Smart Book Lovers is a non-profit organization for people with high intellect and a passion for books. Our membership is global and currently at approximately 1300. Both printed and electronic Books are eligible. They must be in English, have a valid ISBN (not required for digital books published on Kindle) and be published in 2009 or later. Books already submitted in 2010 or 2011 cannot be resubmitted. The final deadline for entering is August 31, 2012, with an Early Bird incentive for books submitted by April 30, 2012. Unlike many other book awards, self-published titles are also eligible for entry as long as they meet the other requirements. An application can be downloaded from the Sharp Writ Book Awards’ website. Anyone, including the publisher, publicist, agent, author or a fan can submit a book for consideration. Winners in the 2012 Sharp Writ Awards will be announced by December, 2012, at a virtual award ceremony organized jointly by Smart Book Lovers and Channel IQ. 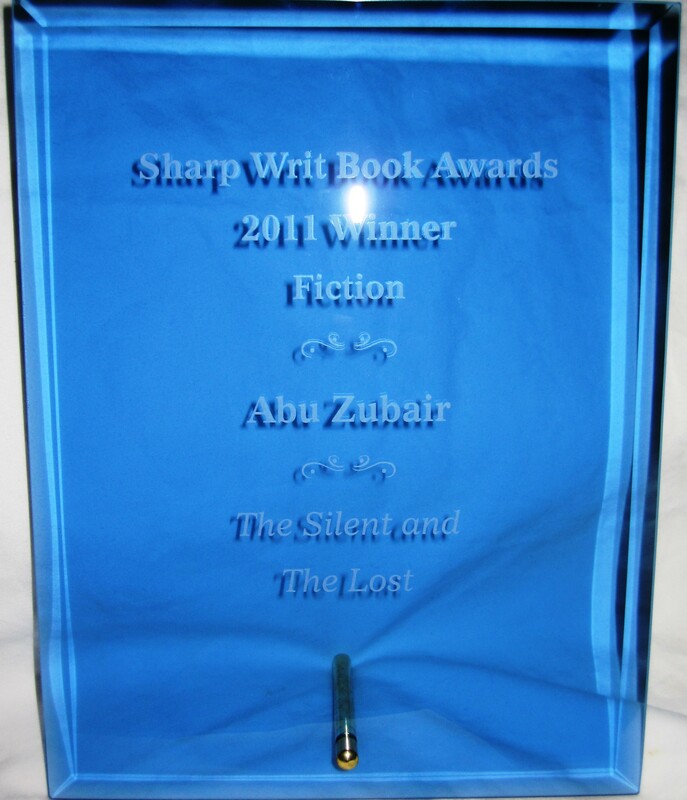 The winners of the Sharp Writ Book Awards will receive a crystal award and certificates, as well as earn credibility and publicity for their books. Dr. Linda Reid is a Los Angeles based physician-author and a two year participant in SWBA. Her book "Where Angels Fear to Tread" (Renegade Paladins). written as Yolanda Pascal, won the award for Science Fiction in 2010; “Devil Wind” came in at second place in 2011 in Fiction. "I am thrilled that 'Devil Wind’ won 2nd place in the Fiction category for the 2011 Sharp Writ Book Awards" said Dr. Reid who wrote the book along with Dr. Deborah Shlian. "Smart Book Lovers, a very discerning group of readers with high IQ, have enjoyed our story in which fathers and daughters overcome years of relationship strife and join forces to save themselves and the lives of thousands of innocent victims from a Los Angeles inferno and a rogue CIA operative's earthshaking conspiracy." MYSTERY: Mystery, Suspense, Thriller, Sleuths and Crime. Other genres may be considered - contact for approval. SCIENCE FICTION: Science Fiction, Fantasy, Paranormal, and Supernatural. GENERAL FICTION: All other categories in Fiction including, but not limited to, Action & Adventure, Graphical Novel, Family, Saga, Historical, Humor, Inspirational, Metaphysical, Political, Western, and Romance. Other sub-genres not explicitly mentioned here, may be considered - contact organizers for more information. POETRY: All categories of Poetry. GENERAL NON-FICTION: Career, Educational, History, Military, and True Crime. Other genres will be considered - contact organizers for approval. BIOGRAPHY / AUTOBIOGRAPHY: Books which are biographical or autobiographical in nature, including personal memoirs. YOUNG ADULT: Books specifically targeted at a teen audience. All genres (fiction, non-fiction, etc.) of young adult are placed in this category. CHILDREN'S BOOKS: Books specifically targeted at a child audience. Examples include picture books or easy readers that combine text and illustrations. To find out more details about how to nominate a book or to download a nomination form, visit the Sharp Writ Book Awards’ website. Smart Book Lovers is a non-profit, independent organization founded as a virtual place of gathering for people with high intellects and a passion for books. Originally founded as the Book Lovers Special Interest Group (SIG) of Mensa in June 2009, the officers took the group independent in order to better serve its members in 2010. Although no longer affiliated with any other organization, many of the members are current or former members of Mensa and other high IQ societies. Smart Book Lovers maintains group pages on Facebook, LinkedIn, and Yahoo to maximize the virtual experience for all members. In addition, the group publishes the Intelligent Expressions blog, to which group members may submit original writings and book reviews. Dr. Linda Reid is a physician-author and an Assistant Professor of Pediatrics at the David Geffen School of Medicine, UCLA. She has served as a medical correspondent for Eyewitness News at the CBS affiliate in Washington, DC, for CNN and other Television networks. Dr. Reid's work has been published in several newspapers, including the Washington Post and Los Angeles Times. In addition to co-authoring two Sammy Greene Thrillers with Dr. Deborah Shlian, Dr. Reid is the author of the sci-fi/ fantasy books "Where Angels Fear To Tread" (Renegade Paladins), winner of the 2010 Sharp Writ Books Award in Science Fiction, and its sequel, “Abyssal Redemption”, as Yolanda Pascal.